Wow! It’s definitely been a long time since I have posted on here. I honestly feel like school and my job took over all my free time, but I’m back! Of course my first post is Christmas related, I’m beyond excited for Christmas it’s unreal. I already have my tree up. I wanted to create something a little bit different then a regular wreath, so I decided to incorporate my last name initial. Here is how I made it! A wooden letter of your choice whether it’s your first or last name. you could use ornaments or anything you would like! 1. First I attempted to wrap the garland around the letter, but it was too bulky. I decided it was easier for me to cut off the strips and glue them on myself. It was rather time consuming but worth it. 2. Hot glue the pieces on. This can be totally random, I just wanted to make sure to cover the white. I made some pieces stick up and others lay flat, it all depends on the look you want. 3. 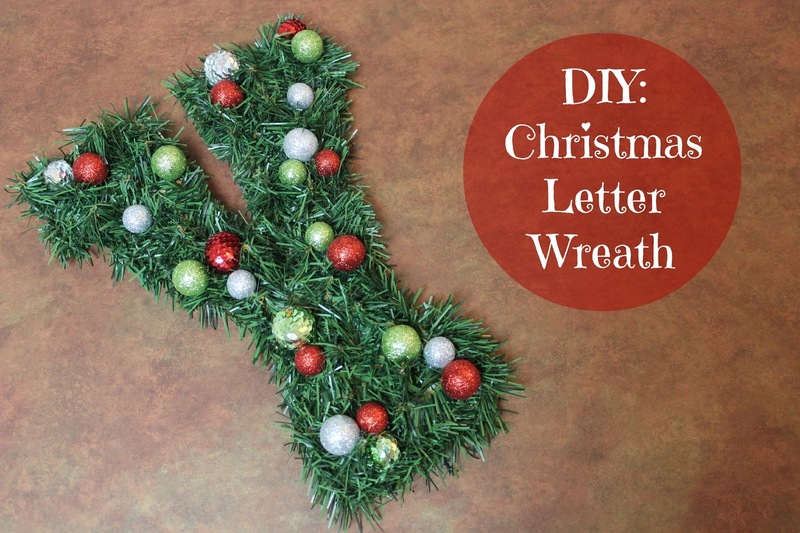 Fluff and finish the greenery on the letter. 4. If you have tight corners like me, you can cut the pieces to show the letter a little better. 5. Now the fun part, hot glue the embellishments. And this is how mine turned out! I really loved how it looked, and its not just an ordinary wreath. Hope you guys have a great week and definitely a great Thanksgiving! If you haven’t, I would love if you followed me on BlogLovin’!